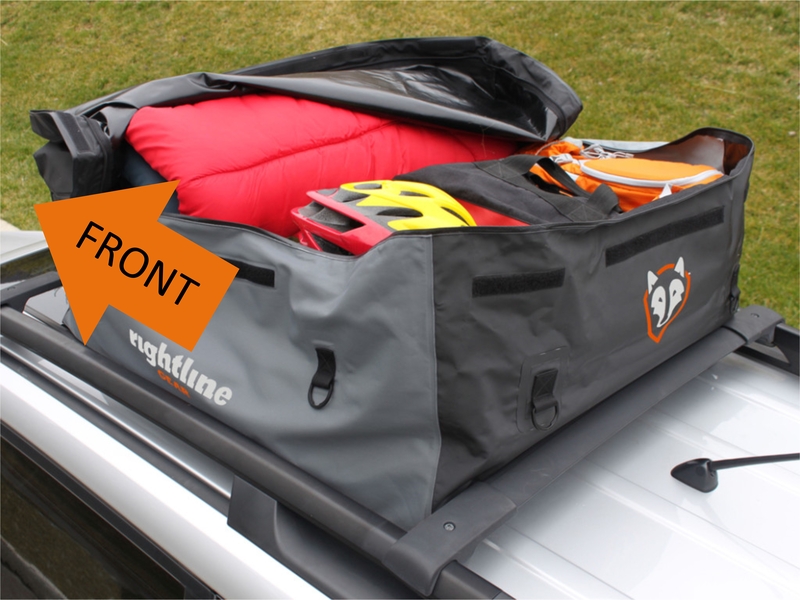 The Rightline Gear Sport Car Top Carriers are designed to be aerodynamic and 100% waterproof, but only when they are installed correctly. The carriers have a zipper that travels around three of their sides. The carrier’s 4th side, the closed end, should face forward on the vehicle. 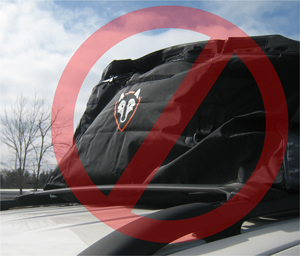 The same holds true for the Rightline Gear Ace Car Top Carriers, except they are not aerodynamic. This positioning allows the carrier’s closed end to take the main force of the wind, rain, and snow while you are driving. 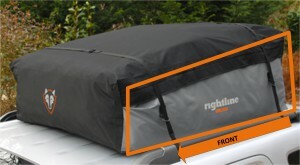 If the carrier is placed with the rear side forward, the wind at highway speeds will blow the zipper flap upward. The carrier was never designed to be used with the zipper exposed to the elements. In this position, it may be remotely possible for water to enter the carrier, even through the coated zipper of the Sport Carriers. It may also be possible for the wind to damage the zipper. The closed end is shorter in height than the rear end, giving the carrier an aerodynamic profile. If the carrier is placed the opposite direction on the vehicle, it will no longer be aerodynamic and may actually impede the air flow, reducing your gas mileage. Installing the carrier with its closed end forward will ensure that it is able to work as it was intended. The carrier will provide you with a fuel efficient and 100% waterproof solution to carry your gear wherever your travels take you. This entry was posted in Car Top Carrier Tips and tagged car carriers, positioning carrier on roof, car top aerodynamic. Bookmark the permalink.